Steam has been a preferred means of delivering energy for many decades. Whether used for propulsion, as when driving a turbine, or delivery of heat, steam has proven to be an acceptably reliable and safe means of energy transfer. Steam can exist in a saturated or superheated state. When saturated, molecules are at the minimum energy level needed to maintain a gaseous state. Superheated steam is essentially steam that has additional sensible heat content beyond what is necessary to create saturated steam. Some processes, such as turbines, will operate best with superheated steam. 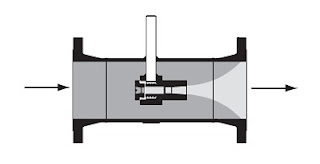 Heat transfer processes will often provide their best efficiency with saturated steam. Whatever the case, there can be instances where it is preferential, or necessary, to reduce the superheat level of process steam. Desuperheaters reduce the sensible heat content of steam through a number of methods, most that involve adding finely atomized water to the steam flow. The document included below outlines various construction methods and principles of operation for steam desuperheaters. The illustrations, diagrams, and explanatory content will provide a useful overview of this common industrial process, including application examples. Types of Steam Desuperheaters from Classic Controls, Inc.